The success of an upper Florida Keys fishing guide depends on their ability to control their boats, especially the flats boat from the poling tower and I have the perfect build. I am very tall and work hard to keep myself in great shape in an effort to perform at maximum level for your entire trip. Repeating from my home page, choosing a guide is more important than anything else for a successful charter. The difference between a premier professional top Keys guide and the average guide is tremendous! I have an extremely large repertoire of spots to fish–which is essential when the weather or fish behavior becomes unpredictable. 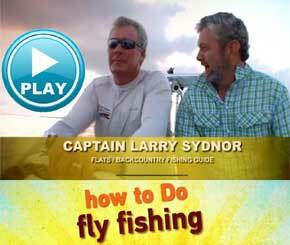 I know everything from knots, hooks and flies to placing the boat just right for your cast. I’ll know whether it is smarter to spend our day chasing tarpon, or whether other species present the better opportunity.Whether you are spin or fly, an experienced angler, novice or first angling experience, I will ensure an atmosphere of safety, fun and excitement. I’ve spent my whole life fishing, especially fly fishing and I am an expert fly tier and use the very best tackle -both fly and spin. I can assist anglers in improving their techniques. As an upper Florida Keys fishing guide I target the flats and backcountry oceanside and bayside thru Florida Bay and the 10,000 islands over into The Everglades National Park. I enjoy guiding and helping anglers better their skills at any level. Each trip is catered to the individual. I also feel I am a popular upper Florida Keys fishing guide because I believe fishing should be fun and exciting and I provide safe and unparalleled fishing adventures on the water. Because I have more than one boat to choose from each trip is customized for the individual(s) for optimum fishing depending on weather and angler weights and both boats are fast, stable and get into shallow waters for sight-fishing with the skiff getting into the skinniest waters to target undisturbed fish. I invite you to come and enjoy a guided trip with me for a life-altering experience of spectacular nature and sport. So unbelievably fulfilling and rewarding. 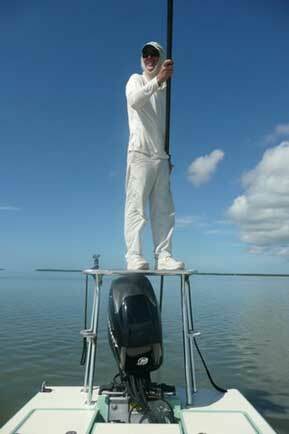 Come stand on my bow and let me guide you to the fun and excitement of Florida Keys inshore fishing! I should be your upper Florida Keys fishing guide! 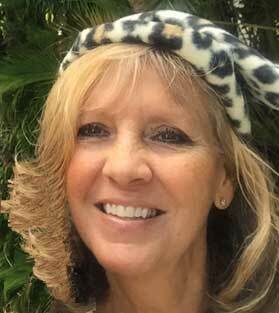 Reservations – I can help you! Since Upper Florida Keys fishing guide Capt. 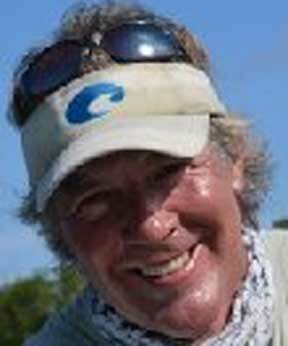 Larry Sydnor is on the water and I type at the computer, I help with reservations and written communications and it is my pleasure to check open dates, arrange your charter and email a confirmation for your day(s) on the water providing links to accommodations if requested. If you have any questions not answered under FAQ, it will be my pleasure to provide and/or secure answers for you.